As someone in business, you understand the importance of the bottom line. At PLL, our bottom line depends on YOU. Partner with us by donating your time, service or resources to meet a need. Your business contribution of any kind will help us change lives and strengthen families. Advertise your business by financially sponsoring our annual banquet. Your sponsorship shows your corporate commitment to investing in our community and helps us save lives. Sponsorship includes advertisement at the event in varying forms, as well as being listed in our newsletter and on our Facebook page. You can help free up our budget by donating in-kind services. Every contribution your business makes allows us to use funds for other expenses, such as medical supplies and client resources. From general maintenance to legal counsel, there’s a need for every service. Contact us to contribute your business’s services and be a part of saving lives in our community. 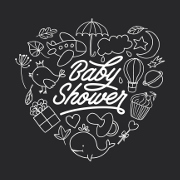 Ask your boss to consider throwing a baby shower to stock our Baby Boutique. Clients earn points each time they attend a class and then use those points to “buy” items from our Baby Boutique. This reinforces self-responsibility and chips away at the culture of entitlement.